Computer session take place in the early hours of the morning after prayers. The computer service income provides a good steady income to the Monastery. Some of the Nuns still prefer the traditional method of earning their living. "The rule of St. Benedict says that you will make your living by the work of your hands," noted one monk. In addition to mail order and internet distribution the home made fruitcakes are sold locally at the monastery. “We are really nowadays concentrating on providing e-content for e-commerce operations like Walgreen and drugstore.com,” explains Leonard. “We are now about to do projects for retailers like Home Depot, which has a 40,000 strong product range and the office supply company, Advantage.com. These are the areas that the nuns and monks can exploit an advantage over the competition. 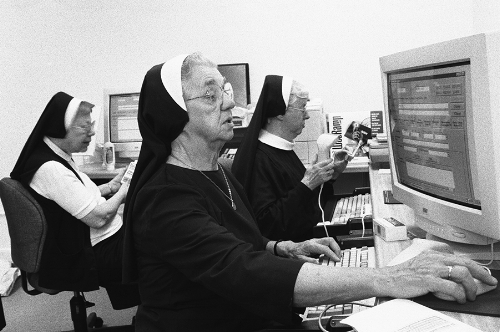 Nuns cataloguing the new drugstore products for e-commerce. Fr. Malachy Marrion working through a coffee-break while the others discuss the impact of the internet on the Monastery. 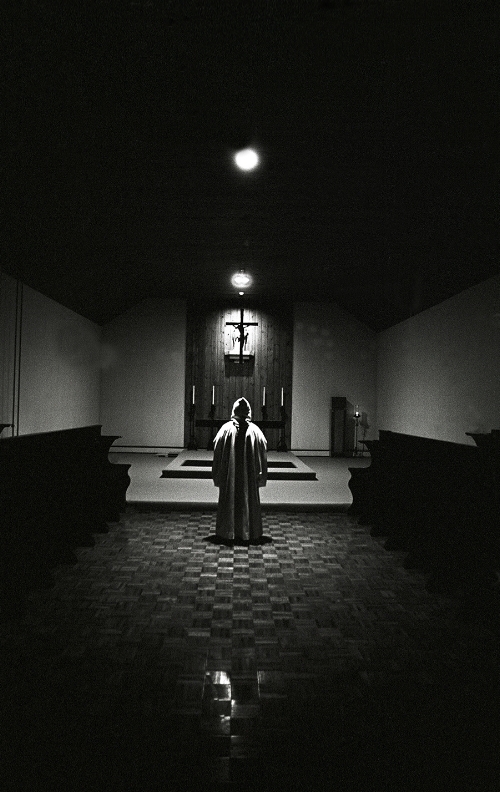 Father Paschal Balkan studying the back-up disks. Benedictine Nuns cataloguing products for the Drugstore.com. 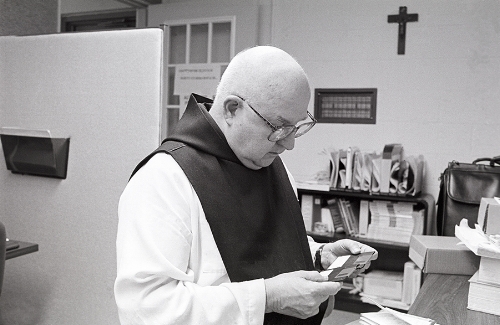 Sessions in the Computer room are one of the few times of the day that these Cistercian Monks are permitted to discuss with one another. Brother Benedict Simmonds on his lap top in the Monastery library. There are five prayer meetings every day with early morning prayers taking place at 0345am. Since the middle ages Monks and Nuns have prided themselves on being self-sufficient through a discipline of manual labour; however as their traditional sources of income such as farming, wine making and bread baking have become more competitive they have been forced to adapt to changing times. baking have become more competitive they have been forced to adapt to changing times. 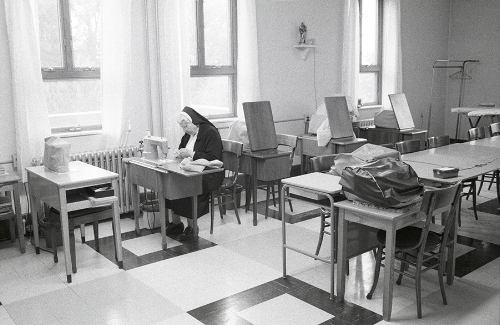 handicapped Nuns at Regina Mundi Priory welcomed Ed Leonard’s concept of Electronic Scriptorium... subcontracting major companies’ computer services to the Monastery workforce. The Monks were the perfect employees for such a labour intensive task; not only were they highly educated, but had plenty of time and were also trustworthy! Ed Leonard has now extended his successful business to other monasteries in the US and Mexico. Computerising the picture library of the Daily News picture library (1.2m photos) has given the Monastery (based in the remote Blue Ridge Mountains, Virginia) a taste of high technology potential and they have now set up a web site through which they sell their home-made fruitcakes. In addition to the Drugstore.com job, the handicapped Nuns at Regina Mundi Priory are digitally archiving the ancient manuscripts of the renowned Pierpont Morgan Library in Manhattan. The transcriptions include delicate works and extremely valuable original manuscripts by authors such as Charles Dickens and Jane Austen. Fittingly it also includes original texts from the Middle Ages, when the majority of books were first painstakingly illuminated by monastic orders. For us, outsourcing this sort of sensitive work that demands high levels of accuracy to a group of Benedictine Nuns no longer seems like an unusual decision at all…. what is crucially important is that you can trust the people you are contracting.